(Pembroke) At the 23rd annual Cobden and District Civitan Club’s golf tournament, 203 participants helped raise over $12,000 for regional health care – with $3,000 gifted to the Pembroke Regional Hospital Foundation’s Cutting Edge Campaign. “As a club, we value and appreciate the quality of care and the expertise provided by the Pembroke Regional Hospital to residents of Renfrew County,” said Cobden and District Civitan Club president, Fred Laderoute. Having donated over $62,000 to the PRH to date, the Cobden and District Civitan Club has been a driving force for advancing health care. 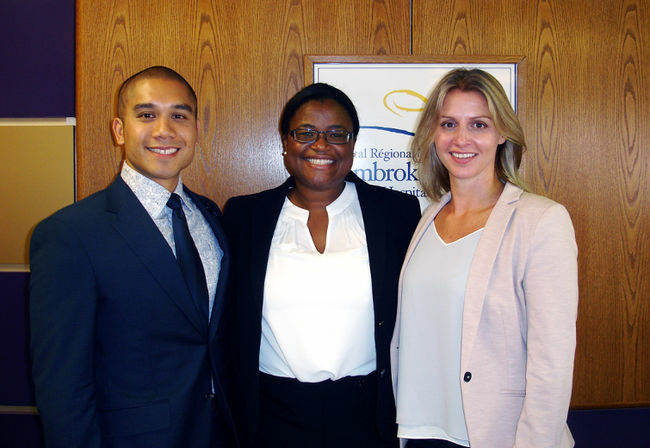 Their contributions have helped enable the Pembroke Regional Hospital expansion in 2005, the purchase of a new CT scanner in 2010 and an MRI in 2015. 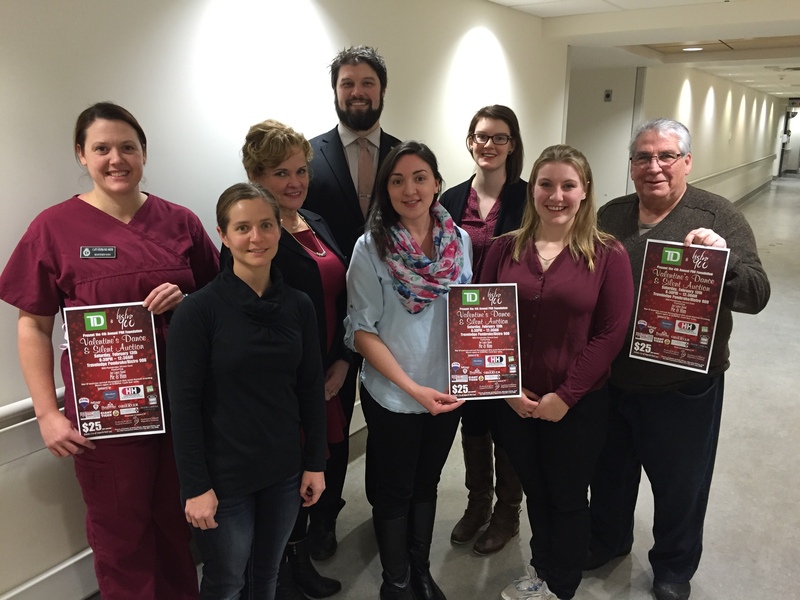 Their latest donation to the Cutting Edge Campaign will support the Regional Orthopaedic Program and surgical floor upgrades. “The Cobden and District Civitan Club has been a dedicated supporter since our Hospital Foundation’s founding in 2002,” said Dr. Tom Hurley, PRH Chief of Staff. “Thanks to community-minded groups like the Civitan Club, as well as generous individuals and businesses, we can all be very proud that local families can access the medical diagnostic tools and treatments they need, closer to home,” Dr. Hurley continued. Donations towards the Cutting Edge Campaign are welcome at any time and can be made online or by contacting the Foundation Office at 613-732-2811 ext. 7408. (Pembroke) – A new year brings new opportunities: TD and Bistro 900 are proud to present the 4th Annual Valentine’s Dance! With two lead sponsors, new location, and a new headlining band, the TD Valentine’s Dance on February 13th is bigger than ever before. Headlining the night is the fantastic Me & Him. Often seen around the Ottawa area at lively bar nights playing crowd favourites or their own athematic songs, they’re bringing their big party sound to the Travelodge for partiers all night. Thanks to generous donations of local businesses the signature silent auction is growing by the day. The Valentine’s Dance and Silent auction is hosted by Bistro 900 and the Travelodge Pembroke on Saturday February 13, 2016. Doors open at 8:00PM with the Joe Lance Band as the opening act. Tickets are $25 and now available from Bob’s Music, Moncion Metro and the Foundation Office. (Pembroke) With preparations for an enormous celebration underway, Frank Carroll Financial has pledged a $10,000 Gift of Humanity to the Black & White Gala fundraiser in support of the Pembroke regional Hospital Foundation. “Health care affects us all, and access to comprehensive care close to home is vital for our community of over 100,000 in Renfrew County,” shared Frank Carroll Financial President Neil Carroll. “As a regional business, we felt it was our duty to support the hospital that supports Renfrew County, and would encourage other local businesses to do the same,” continued Vice-President Laura Carroll. Receiving the Gift of Humanity was Black & White Gala Chairperson Lisa Edmonds, and Pembroke Regional Hospital Foundation Executive Director Nancy Warren. The Gala is held on October 17th at Normandy Officer’s Mess. This year there is an exclusive jewellery opportunity only available to ticket holders, in addition to the live eight piece band, four course gourmet meal, and so much more. Tickets are already 60% sold. To secure your Gala tickets, or your business or family as a prominent sponsor of the Black & White Gala, please contact the Foundation Office at 613-732-2811, ext. 7408 or foundation@pemreghos.org. (Pembroke) A community focused bank through and through, Scotiabank has donated a $10,000 Gift of Humanity to the Pembroke Regional Hospital Foundation’s Black & White Gala. 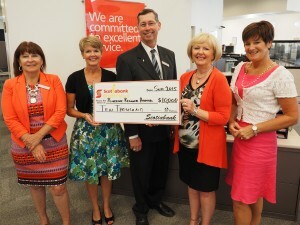 To date, in addition to selling tickets, Scotiabank has donated over $140,000 to the annual signature event. With tickets already over forty percent sold, the diamond themed Gala is proving to be Renfrew County’s Fall Season’s premiere event. “We thrive as our community thrives,” shared Branch Manager John Becvar. “The Pembroke Regional Hospital Foundation’s Black & White Gala is one way for us to give back as a community bank. Our investment in the hospital helps us invest in the wellbeing of everyone in Renfrew County,” continued John. Jointly announcing the sale of tickets at Scotiabank were Gala Committee Members Karen Roosen, Donna Farrell and Chairperson Lisa Edmonds. To secure your Gala tickets, or your business or family as a prominent sponsor of the Black & White Gala, please contact the Foundation Office at 613-732-2811, ext. 7408 or foundation@pemreghos.org.